Police search for suspects after a church was robbed twice. 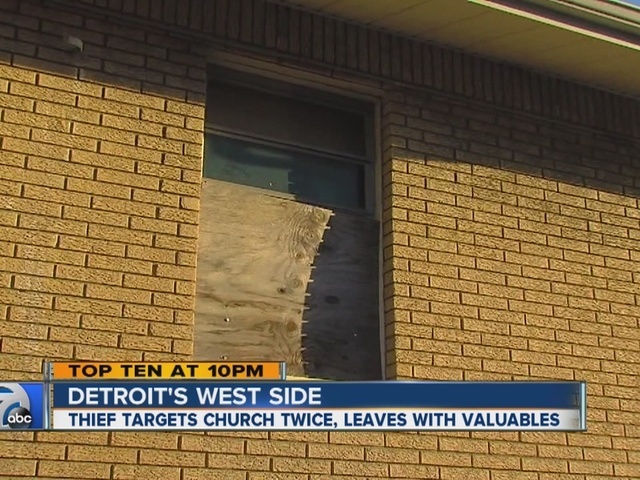 For the second time in a month, a small church on Detroit's west side has been the target of a thief. 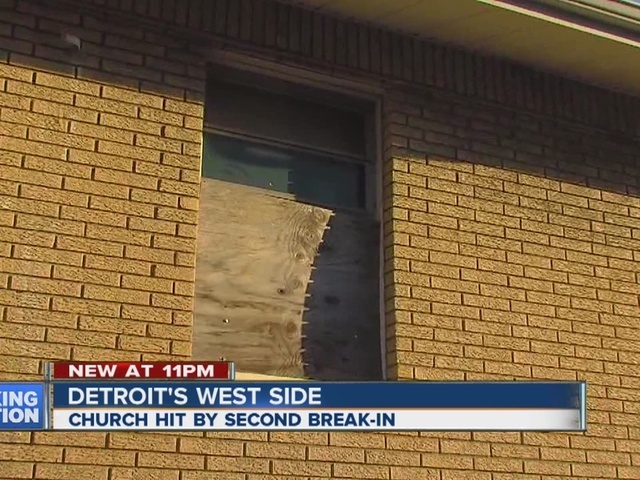 Someone broke a side window to gain entry into Whitlock Memorial Church of God in Christ around 8:40 a.m. on Tuesday. Two guitars, an amplifier and other electronic components were among the items taken, according to the church's pastor, Keith Crumpe. He estimated value of the stolen items at $2,000, which is big blow to the church with a small congregation. "We're praying for the individual," Crumpe told 7 Action News. "We want them saved. We want to help them, we want to be a blessing for them, but we can't keep going the way that we are, we'll be bankrupt." The pastor is hoping to add video cameras to the church's existing security system, but said he'll need help to pay for it. In the first break-in, entry was gained through a broken front window. The church's bullet-proof doors kept the thief from gaining access to the sanctuary that time.